cutline--Members of the armed services, past and present, were honored Thursday morning at Marti Elementary School. A repeat performance of their patriotic program will be held this evening at 6:30. 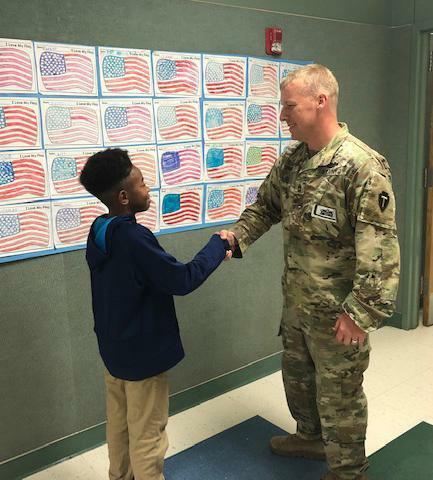 A special invitation is extended to our community's veterans and those currently serving to be the honored guests at the various programs and activities taking place in CISD in observance of Veterans Day. Thank you for your service and sacrifice.